the ability to interact with its environment. A robot’s degree of autonomy and its range of motion will depend on its application and the setting in which it is used. The robotization of medicine poses real ethical concerns. This article aims to explore a few of these concerns, but not without first putting forward a functional classification of robots in medicine. Today, a robot’s role in medicine is to assist professionals in the practice of medicine. That is to say at every level of care for patients whether medical, surgical or pertaining to functional and social rehabilitation, so as to establish a diagnosis for adequate treatment. In this perspective, here is a brief overview of the use of robots in modern medicine. Medical robots fall into four main classes. First, we have the diagnostic assistance robots that infer from data obtained through imaging (magnetic resonance, scan, three-dimensional ultrasound, endoscopy…) to facilitate timely new information about a disease. These robots have proved useful in the acquisition of data essential to the treatment of patients. Next, with the non-surgical medical support robots, we enter the realm of synthetic biology and bio nanotechnology. Synthetic biology applies the principles of engineering in order to modify existing biological systems or to produce them de novo, providing them with enhanced or completely new features. Bioengineering uses or draws on living mechanisms to develop, in the manner of electronic circuits, biological ‘nano-devices’ for use in various fields including, namely, curative care. Thus artificially reprogrammed bacteria are designed to locate and destroy cancer cells, “nano-labs” to analyze the behavior of cells directly inside the human body in a very targeted way, and a range of biosensors to detect the emergence of various diseases. The organism is defined, inter alia, by its metabolism. The living self-organizes, as we know, by exchanging matter with the external environment, by assimilating it and constantly renewing itself. New “metabolic” engineering consists in restructuring the metabolic network, by modifying existing channels or creating novel ones, with the end goal of getting new organisms to produce new molecules. Surgery support robots include both the numerous robotic implants and the so-called “surgical robots.” Alongside the increasing use of high-performance implants, such as the cochlear implants or the CARMAT total artificial heart, “surgical robots”, often very expensive, allow more accurate surgical procedures and minimal post-operative discomfort for the patient. They may even automatically correct certain inadequate or dangerous surgical procedures (which would imply a significant degree of autonomy given to the machine). 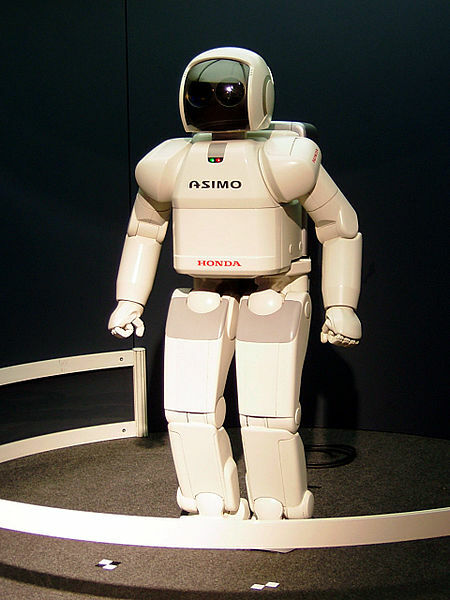 Finally, we must consider the rehabilitation and socially-assistive support robots. These are of two types: the functional rehabilitation robots, on the one hand, and the social support robots on the other. The first help accommodate a deficiency, when a disease or injury has altered physical capacity, by guiding limb movements during physical rehabilitation exercises (i.e. replacing the physiotherapist) or compensating for a deficiency in the organism with an exoskeleton, as in the case of an amputated arm or quadriplegia (the robotic system substitutes the missing limb). Many advancements have been made in the field of brain-machine interfacing in recent years, directed at achieving efficient command of robotic prostheses. The second, the socially-assistive robot can be useful in providing psychosocial support to the elderly or the disabled, and in encouraging social interaction by children with autism. These “pet robots” supervise, entertain or aid people when human care providers are lacking or rejected for pathological reasons. We would now like to set out a few practical reference points which could serve as a basis for an ethical evaluation of the uses of robotics in the areas of healthcare. The list will, needless to say, not be exhaustive. But we will still try and bring out the main guidelines that support reference points in order to possibly spur and steer reflection for further ethical standards in medical robotics in the following areas of use: diagnosis, medical or surgical care, or functional and social rehabilitation. 1. Robots must remain in the service of patients and not become a means to exploit or control them without their knowledge. The robots likely to replace nurses, delivering medication or food to specific patients or enabling remote diagnostics, also have the ability to record a variety of personal data. It is therefore imperative that this kind of technology be used with an increased sense of respect for privacy, avoiding thus any disclosure of personal data. Securing data harvested by robots and specific application of the laws of patient confidentiality in this context should be unwavering requirements for use of this technology in hospitals. The problems encountered today in data mining – the automated extraction of personal information from large databases – would only be heightened in the domain of companion robots used both in hospitals and in nursing homes. In nursing homes, one might fear the use of data, e.g. financial information, collected during interactions between robots and vulnerable elderly persons for commercial or malicious purposes. This is especially a concern as robots could continue to develop enhanced emotion recognition and memory abilities. We will assuredly be witnessing the emergence of nano-robots able to continuously regulate certain physiological parameters of a patient by administering treatment when exceptional or chronic pathological behavior is detected. There is no denying the importance and usefulness of these microscopic robots. However, boundaries to their use are essential. Indeed, such devices, as they are injected into a patient’s body and controlled remotely, could of course become the means of controlling, tracking or pressuring their host (1). Such concerns have also been raised with regards to microchips, which are imbedded in the bodies of individuals to track their location or enable them to gain access to secure sites. A monitoring system needs to be put in place in order to prevent robotic technology being used in a way that violates confidentiality or infringes on a patient’s freedom or right to privacy. Medical robots today come in the various forms of prostheses. One could consider a gradual replacement of defective organs by mechatronic systems. Compensating for a number of deficiencies, whether motor, cerebral or sensory has its importance and legitimacy. But today, a series of theoreticians considering using robotics body to upgrade the human body with new, unprecedented, or creative capacities, with the sole perspective of their fantasies of aesthetics or power. It is important to develop a reflection that could assess the use of robots in this context. As a first proximation, the notion of bodily integrity could be introduced as criterion for assessing the use of robotic technology. Although it poses some difficulty in terms of its definition, the notion of bodily integrity could serve as a reference. Restoration of a damaged body, as is performed in plastic surgery, among others, stems from a desire to preserve and reestablish bodily integrity. On the other hand, the use of robotic appendages and that of sensory implants, endowing people with new senses (via the perception of magnetic fields and infra-sound or infrared signals), in the pursuit of recreational or hedonistic, is by nature such as to break the integrity of the human body. The idea of an “enhancement of man” through robotics as envisioned by transhumanism (2) presents the risk of breaking bodily integrity by paradoxically making man a “diminished man” rather then the highly coveted “augmented man”. Bodily integrity is the product of a biological history and its modification could lead to the denial of an important anthropological aspect. One possible ethical guideline here could be respect of this biological history that is precisely part of what defines the human person. Basically what is at stake in the previous reflection is respect for man’s fundamental limits. Taking into account the limits of the person and respecting them are an important criterion for the use of robotics in medicine. Robotics can be seen as a means to overcome our limitations, and in a host of situations this is entirely legitimate. If I am unable to move or if I am too weak to carry something, it is only natural and conceivable that I turn to systems that could allow me to get around these limitations. But I might also consider removing the limits that are part of the natural constitution of the human person. For example, while robotic exoskeletons are quite relevant in restoring mobility to the paralyzed, it seems inappropriate to grant exoskeletons to people who wish, for the mere fun of it, to increase their muscle strength. Robotics must not lead us to forget that our limits are part of what defines us and makes us unique. The fantasy of a limitless human being is contradictory and destructive. That is why one of the main criteria for the use of robotics in medicine could be that of respect for our limits. Robots should not lure and lull us into the illusion of a world without limits. The incorporation of man’s inherent vulnerability and fragility into the concept of medical robots is imperative (3). If we are considering introducing “robotic companions” into hospitals or elder care facilities to entertain, monitor or aid patients or the elderly, we must reflect on the serious implications this may have for human relations. Without excluding the use of this technology, which can be beneficial in certain applications and even with certain diseases, it is important to guard against any form of mental enclosure into a purely virtual sphere (as is already the case for some users of the cyber world) and against behavior that could lead to the abandonment of persons left alone with their robotic assistants. One important ethical boundary on the use of robots in the world in general and more specifically in the world of healthcare is the risk of losing the wealth of human-to-human interaction. We know that the systematic replacement of humans by machines in train stations, banks … comes with its questions and problems. Indeed, it is as though little more were at stake than just working relationships in these situations. But that is ignoring the whole relational dimension linked to service encounters at banks, railway stations: relational bonds that cannot be reduced to or exhausted in a technical function of purchase or sale… An important ethical guideline must be applied in order to prevent the wealth of gratuitous and spontaneous human relationships from completely disappearing. We must also take into account psychological limitations and cultural sensitivities. In Europe for example, the use of androids may not be appreciated, as they are perceived as “frightening”. This is not the case in other parts of the world. This demonstrates the importance of respecting a given cultural world’s way of apprehending specific technical objects. One of the dangers with the use of robot technology is the trend that leads to accepting and ratifying a significant handing over of human powers to machines due to their performance. The fascination induced by them can indeed result in the elimination of man from important decision-making processes. It is clear that robots can, and increasingly so, perform tasks that man could never perform. As such, making use of them is salutary and legitimate. It would even be stupid and sometimes dangerous to forgo their benefits. However, it should never be forgotten that robots are to remain in the service of the decision-maker and not the opposite. Yet out of inertia, convenience, or even enthrallment, one often sees the user being led by the tool. It is important to also consider the fact that systematic use of robots could cause doctors and surgeons to fall short of important experience, which would usually be forged through direct hands-on contact with patients, and which may prove crucial in case of failure or unavailability of robotic systems. It is therefore important to establish specific protocols to make sure that, at any given time, the use of a robotic technology is fully in line with the objectives outlined by the human decision-maker. This implies, namely, defining specific situations where man should be put back into the decision-making loop. These situations are at the heart of a dynamic balance that refuses simultaneously to exclude delegation of authority and to accept total relinquishment of the decision-maker, and that is entirely oriented towards the goal which requires the use of a specific technology. An ethical guideline here will be to never lose sight of the notion of responsibility. Indeed, even if the use of a machine, a robot, readily gives the impression, through the sophisticated mediation it proposes, of decreased liability in case of malfunction, we must never forget the ultimate responsibility and deeper intent of the person behind it. Another important ethical question is: who will have access to robotic technologies? One could fear the development of a two-tiered healthcare system. The cost of these technologies, implementation structures, and maintenance could deter the less fortunate of our societies or of less favored countries. It is therefore essential also to consider these techniques, taking into account social contexts and preventing the emergence of new inequalities. In conclusion, following Jacques Ellul’s lead, we might say that the ethics of medical robotics must be based on criteria that allow a significant difference to be made between “what serves man and what man serves for” (5). Medical robots can serve many purposes, but they must ultimately remain in the service of man’s humanity, through usage which in the end does not lead to self-abnegation or self-obliteration. Implicitly, this means refusing to employ techniques that could break man’s wholeness as defined by his history, and negate his constituent boundaries, outside of which he is mere fantasy or illusion. The idea that could regulate the use of robotics could be the requirement of anthropological coherence: to not develop techniques which, while purporting to augment man, would in a contradictory way diminish man. This regulative idea could go on with the rejection of the paradoxical alienation of man from the very project of service to the human. In summary, two things can be said. The human subject must never forget on the one hand that he is the designer of the robotic system and is ultimately accountable for its implementation and its behavior, regardless of the delegation of authority he has authorized. He must perhaps, on the other hand, ponder on the fact that his use of robots must not lead to either his own negation or complete alienation, or to that of the wealth of human relations non-mediated by technology. Responsibility and refusal of a paradoxical situation in which man would be negating himself in the very act in which he seeks self-assertion, healing or augmentation; those are the two axes that could be used to guide an ethics of the robotization of medical acts and worlds. S. Tisseron, « Des robots et des hommes : lesquels craindre ? », Etudes, 4210, novembre 2014, pp. 33-44. Cfr J.-M. Besnier, Demain les posthumains, Paris, Fayard, 2012; Encyclopédie du trans/posthumanisme (sous la dir. De G. Hottois, J.-N. Missa, L. Perbal), Paris, Vrin, 2015. A. Bernard (sous la dir. ), Fragilité, dis-nous ta grandeur!, Cerf, Paris, 2013, Recherches morales ; Th. Magnin, Les nouvelles biotechnologies en questions, Salvator, Paris, 2013. N. Wiener, God and Golem, cité de P. Cassou-Noguès, Les rêves cybernétiques de Norbert Wiener, Paris, Seuil, 2014, Science Ouverte, pp. 165-166. J. Ellul, Le bluff technologique, Paris, Fayard, 2010 (Hachette, 1988), p. 281.